In 2004, Pixar made cinematic history when it released the best Fantastic Four movie to date. The Incredibles was an action-packed animated superhero tale starring a family of heroes, and it won fans over across the world. The movie tapped into all the classic superhero tropes, even subverting a few of them, and combined that approach with a smart semi-political message that felt very relevant for its time. Nobody was surprised when Pixar announced the sequel. The challenge, though, will be for Pixar to make the sequel every bit as relevant as the original. 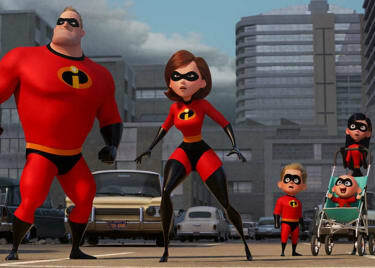 The themes and ideas of The Incredibles are timeless and powerful, and it’s worth remembering them as we prepare to watch this family’s continued adventures. The most obvious theme is the importance of family. The film kicks off with Mr. Incredible choosing to go solo, but it doesn’t take long for his heroism to become his undoing. It’s only possible for the Incredible family to save the day when they stand united as both a team – and a family. This theme was what led superhero fans to compare The Incredibles to Marvel Comics’ first heroes, the Fantastic Four. The FF are actually known as “Marvel’s First Family,” and are led by husband and wife Mister Fantastic and the Invisible Woman. 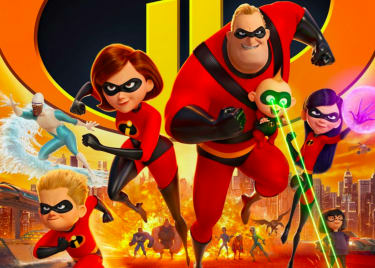 The Incredibles goes one step further, making the children a core part of the super-team. Although this is a pretty common theme in animated movies, somehow The Incredibles managed to make it feel fresh. Probably the coolest scene was the unexpected synergy between kids Dash and Vi, as Vi manifested her force-fields for the first time! Syndrome knows his adversary better than that. He challenges Mr. Incredible to do it, but he’s unable to. Ironically, that moment becomes a character-defining tipping point for Mirage. She realizes how little Syndrome cares for her, and how compassionate Mr. Incredible truly is. Mirage inevitably betrays her master, setting the hero free and revealing that his family are alive. The artists at Pixar play the moment perfectly, letting us see the different personalities at play and understanding why Mr. Incredible’s nature sways Mirage’s decision. The ultimate message of The Incredibles is that everybody should be willing to embrace their true nature. The movie is set in world which has become afraid of superhumans, and where heroes hide their powers. It’s an analogy that’s common to comic books, where the X-Men routinely stand in defense of a world that hates and fears them. The Incredibles must learn to embrace their gifts, to stand proud and confident in them once again. After all, the world hasn’t changed; it still needs heroes. But there’s more to The Incredibles than just that. One of the most amusing scenes is at the end, when the teenage and formerly withdrawn Vi – who’s now become much more comfortable with her identity – arranges her first date. It’s a scene that left fans beaming with delight. Vi’s self-acceptance has allowed her to come out of her shell, and the world is ready and waiting for her. The Incredibles is gloriously optimistic. 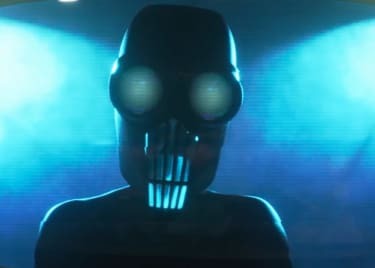 Acknowledging that the world is a complex place, it still recommends a simple philosophy; “To thine own self be true.” In the face of a world that may fear, that may not understand, The Incredibles gladly tells viewers that they should be willing to be themselves.